Cuba has enjoyed recent international publicity in the media with visits from Pope John Paul II, royalty of Spain, former USA President Jimmy Carter, governors, senators and congressmen and many celebrities. President Obama has announced a new beginning with Cuba on December 17, 2014. Colorado has always sent many people to Cuba through cultural exchanges, students attending classes in Cuba and journalists traveling general licenses. Cuba is entering the New Millennium dependent more and more upon the global economy to buttress its national interests in lieu of the collapse of the USSR, low world sugar and nickel prices, decline in tourism, and less cigar consumption. New Cuba is emphasizing biotechnology, information sciences, and other non-commodity based national output. 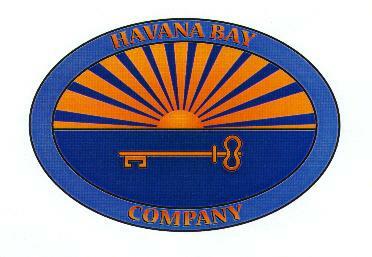 Cuba Biotechnology Company ® Capitalism in Cuba Cuba H.T.M.L. Cuba R.E.I.T. Cuba has entered into many joint ventures with companies and countries to develop tourism as an economic growth engine. Visitors come from Europe, Mexico, South America, Canada and the USA. While many USA citizens travel to Cuba legally, a significant number eschew the Embargo and enter Cuba through nearby locations (Canada, Nassau, Cancun, Grand Cayman, Jamaica, Dominican Republic). Legal travel to Cuba for USA citizens and permanent residents is available through Cuba AIDS Project. The people of Cuba are highly educated. Many speak Russian and English as well as their native Spanish. The economy of Cuba is recovering from the Special Period: Cuban Business Journal ®. Please email us if you have questions or interest in Cuba. Copyright © 1994-2015 Pure Cuba Play Corporation. , a Colorado corporation. All rights reserved worldwide.